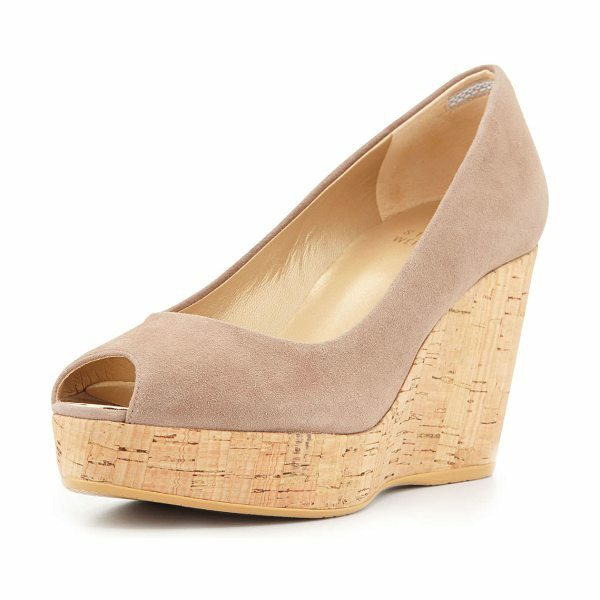 Stuart Weitzman suede pump. 3. 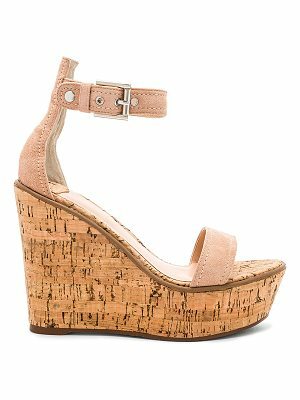 25" cork wrapped wedge heel. 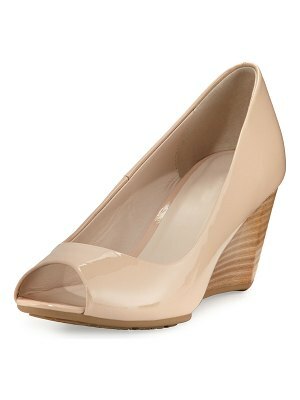 Peep toe tops 1" platform. Leather lining and footbed. 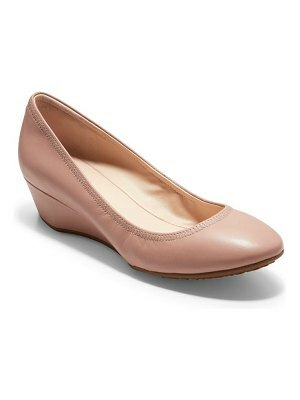 Rubber sole for traction. Made in Spain.